The company is set to launch 20 outlets in Malaysia over the next four to five years. QSR Media got in touch with Steen Puggaard, CEO of 4FINGERS, to discuss the brand's direction as well as the opportunities they see in the country. QSR Media: What's new at 4FINGERS? As a brand who’s constantly finding ways to disrupt the status quo, we’re always looking at new formats to adopt and utilise the right technology in our business. Traditionally, F&B has always been a low-tech industry that is slow on the uptake to maximise the transformational potential of technology. In the face of manpower challenges across the retail sector, we are looking at scaling our capabilities without compromising on quality. We are currently developing a 4FINGERS mobile application that allows customers to order and pay online. Customers’ phones replaces our in-store buzzers, and people can order before they even get to the store, and arrive to pick up their orders. This will allow us to redeploy staff currently only doing cashiering to spend more time interacting with customers. More face time with the customer is crucial because customer service excellence is an integral part of providing an overall great F&B brand experience. We’re also gearing up for online orders and payment modes for our customers to order and pay for home delivery online, as part of our long-term growth strategy to give our customers what they want and deliver chicken to them at their convenience and their own terms. To stay one step ahead, we need to respond to this fast growing demand for food delivery and the ability to order whenever and wherever. Additionally, we will be partnering with Chef Bjorn Shen, also known as Singapore’s most rebellious chef and owner of Artichoke, Bird Bird and ice cream brand Neh Neh Pop to bring something exciting to our fans, so keep a lookout for that! QSR Media: Can you tell us more about the brand's philosophy? How do you plan stay ahead of the QSR industry? We put a lot of thought into what our brand stands for. Rather than be seen as just a chain serving fried chicken, we offer our customers the incredible experience of casual dining in a vibrant, underground setting. Every element about us reflects this - our stores’ designs with Sam Lo’s (Singapore’s very own rebel graffiti artist) graffiti art, the grungy look of our website, right down to our sustainable packaging that represents our rebellion against the status quo. QSR Media: What do you want to tell the market about the direction of your brand? We don’t compete on low prices. 4FINGERS is a fast casual brand and we ensure everything we serve is made of quality ingredients. Our signature soy sauces have no artificial flavourings or added MSG. These are made at a family owned factory in Malaysia with soy beans, water and salt that’s then fermented for five months under the sun. Our dishes are made to order, with each piece of chicken hand-brushed with your choice of sauce. Traditional recipes are also used, but we borrow elements from other Asian cuisines. For example, our katsu chicken sandwich combines Chinese mantou buns with our own kimchi coleslaw (kimslaw). We are growing 4FINGERS to become a formidable F&B business that keeps up with what our customers want so that we are not just a run-of-the-mill quick-service restaurant brand. But while growing at a fast-pace, we want to stay true to our focus on quality and sustainability. We will continue to ensure the same brand experience, the same quality of our addictive chicken and sauces, as well as the same, amazing service standard. 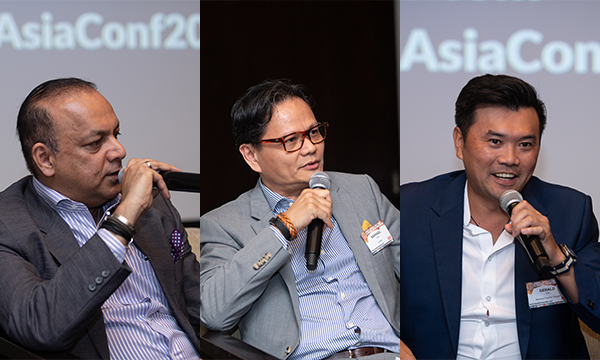 QSR Media: What opportunities do you see in Malaysia? Malaysia as a market is close to our heart as our owner, Vijay, was born in Kuantan, and is also home to many of our quality suppliers. The dining scene is also incredibly vibrant. It’s constantly evolving, creating extraordinary experiences with quality, innovation, and diversity. This is why we’re looking forward to opening 20 more 4FINGERS outlets in Malaysia over the next 5 years. Our consistent sales growth in Malaysia has put us in a better position than the average F&B businesses, and will spur our growth strategy to revolutionise casual dining with great chicken right here in Malaysia. QSR Media: Can you give us a more detailed view on the Malaysian expansion? We have invested 3.2million ringgit in the first four outlets. 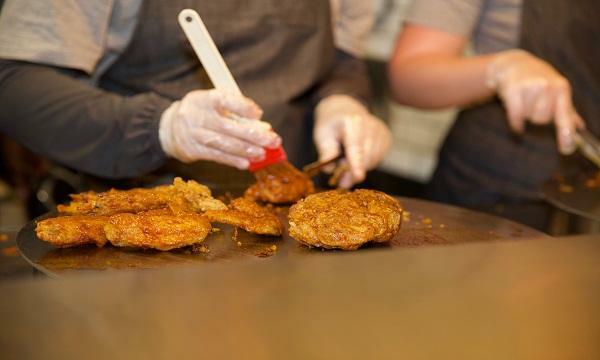 We are currently searching for the right leases in accessible areas to meet Malaysia’s growing demand for great, fried chicken, and plan to launch 20 more 4FINGERS outlets in Malaysia over the next four to five years. We also have customers who are asking for 4FINGERS to be delivered to their doorstep, and are exploring having a delivery service as well to serve more folks. Even as we have ambitious growth and expansion plans, we will continue to ensure the same brand experience, the same quality of our addictive chicken and sauces, as well as maintaining the service standards.